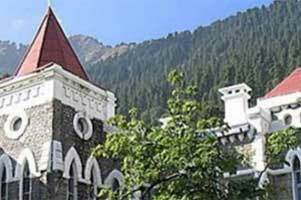 Uttarakhand: The Uttarakhand High Court today asked the state government to make the Swami Rama Cancer Hospital and Research Institute in Haldwani fully functional within three months. Hearing a PIL highlighting the lack of basic facilities at most of the hospitals in Haldwani, a bench of justices Rajiv Sharma and Lokpal Singh observed that the institution was plagued by absenteeism and lack of proper equipment. Poor patients are not getting specialised treatment or medicines, posts are lying vacant, there is an increasing tendency among doctors to refer patients to other hospitals and the hospital itself is largely under-equipped, the division bench said. Taking note of this, the court directed the state to make the Swami Rama Cancer Hospital & Research Institute fully functional within three months by creating required posts and recruiting medical practitioners to them. The court further directed that walk-in interviews be conducted to fill vacancies and incentives like advance increments, suitable accommodation and conveyance given to specialists to join the institution. The court also directed the state to establish nephrology, neurology, urology and cardiology departments in the Government Medical College, Haldwani, within three months and fill up corresponding posts within a period of another three months. Trauma centre, MRI, PET, mamography and other state-of-the-art equipment and essential life saving medicines are to be provided too, it said. The court said the Medical Council of India should carry out an inspection of the medical college after six months to ensure that all parameters laid down by it were being followed. The order came on a PIL highlighting lack of basic facilities in the Government Medical College, Haldwani, and its affiliated hospitals, including the Dr Sushila Tewari Memorial Hospital and the Swami Rama Cancer Hospital & Research Center.